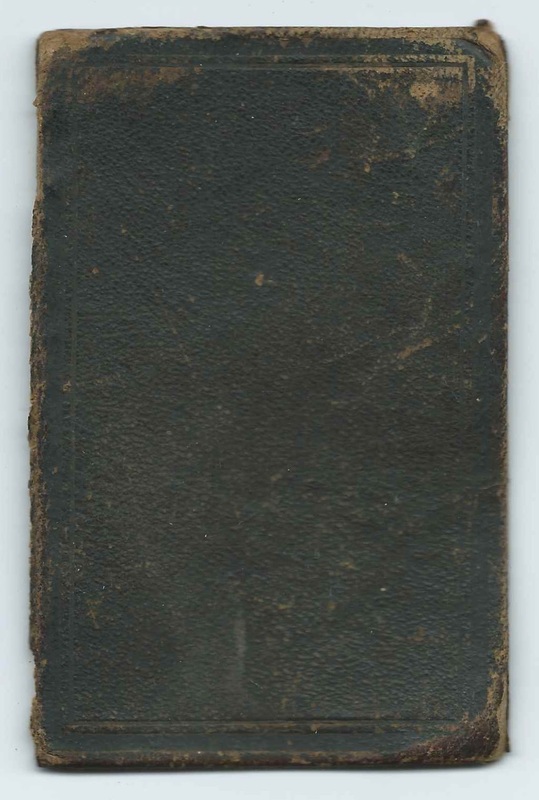 Small Polymicrian Testament that belonged to Samuel Lyford Hutchins of Brookfield, New Hampshire, in his youth. 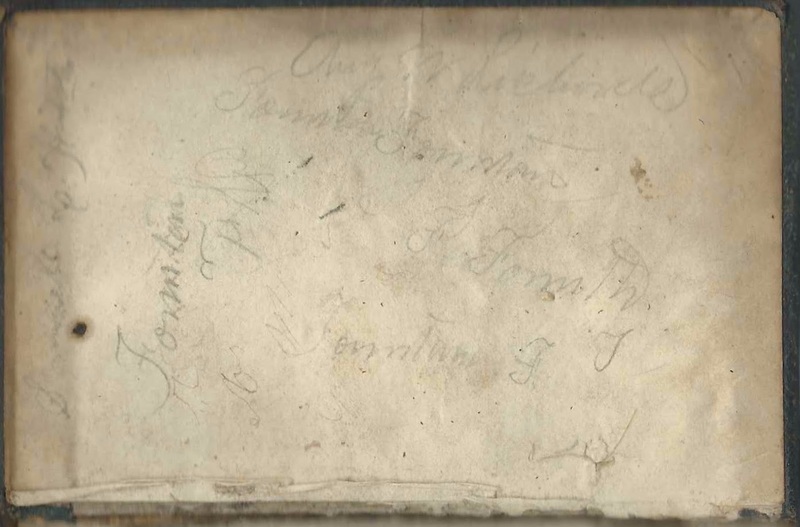 It may have been in the possession of other people at times, as at least three more names appear, although not as prominently as Samuel's name. See farther below. The Testament is a small one, measuring approximately 4-1/2" by 2-3/4". The front cover has detached, and there's a bit of staining throughout. It was published in 1846 in New York, New York, by A. S. Barnes & Company of 51 John Street. Samuel's name appears on several pages. Brookfield, New Hampshire is more legible in the second of the two images below. Three other names also appear, as shown below. Samuel Lyford Hutchins was born October 21, 1852 at Wakefield, New Hampshire, the son of John Sanborn Hutchins and Betsey (Lyford) Hutchins. By 1860, the family had moved to Brookfield, New Hampshire, where they were recorded in the US Census of that year. Samuel, a businessman and excelsior manufacturer, married twice, first to Mary Elizabeth Drew, who died in 1877, perhaps after lingering effects of the birth of their daughter Sadie Bell Hutchins, who herself died in 1888. On October 25, 1880 at Cambridge, Massachusetts, Samuel married Mary Adaline Corson, a Wakefield, New Hampshire, native. They had two children, one of whom died in infancy. Samuel died in 1902 and Mary Adaline in 1939. According to their Find-a-Grave memorials, which contain information and some photographs, Samuel, his two wives and three of his children are buried in the Union Cemetery at Union, New Hampshire. If you have corrections and/or additions to the information above, or information about the other people mentioned, please leave a comment or contact me directly.